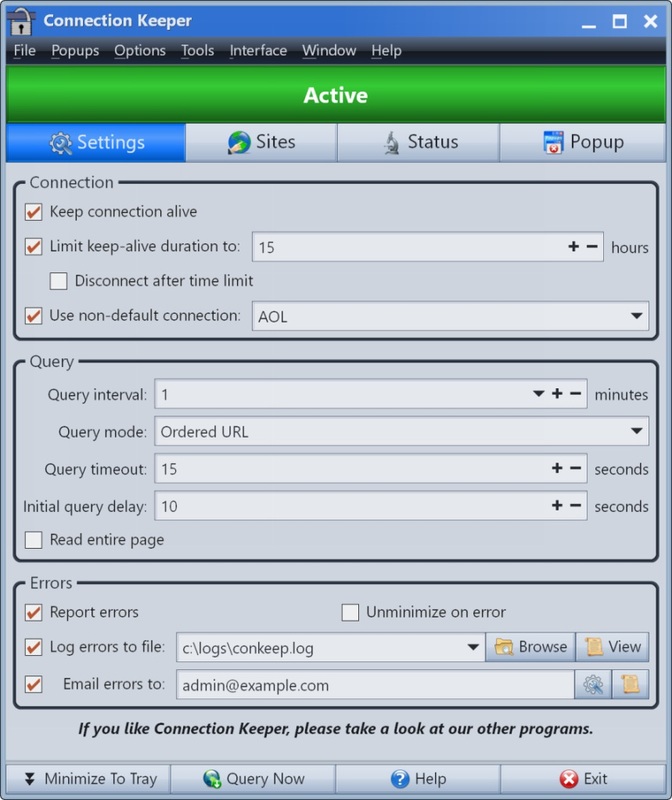 Connection Keeper is an invaluable time-saving tool for dial-up users. This free program simulates Internet browsing (at a random interval) to prevent the connection from appearing idle, thus preventing your ISP from dropping the connection due to inactivity. Connection Keeper can also automatically close many types of popup windows, such as those asking if you wish to stay connected. And if the connection is lost, Connection Keeper can automatically dial back in, restoring the connection as fast as possible. It can also monitor websites, DNS records, DNS blacklists, FTP files, and SMTP servers. Save your time and sanity – try Connection Keeper today.